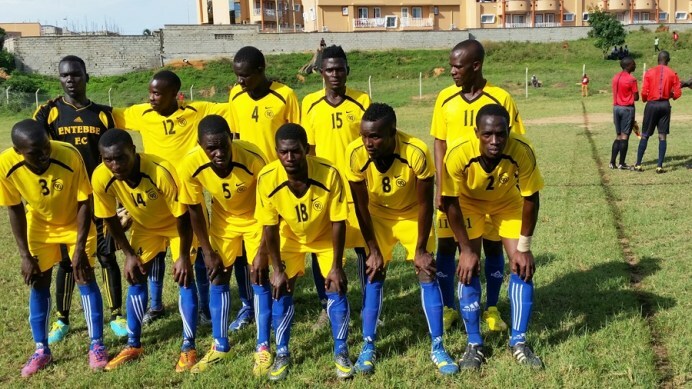 ENTEBBE – Entebbe based side, Entebbe FC have decided to terminate the contracts of 5 of their players. The players included Joel Ddungu, Noel Bayiga, Hassan Muhammad, Julius Kazibwe and Ronalds Cheukembe. All five are understood to have absconded from duty for a period of up to one and half month. “We had no option as they have all refused to return to the club, said a club official who preferred to remain anonymous, when asked about the situation. “They were all given sometime off towards the end of last year but as the rest returned, the five deliberately refused. “The club has tried all they can to contact them but there is no positive response. Entebbe, formally Masavu FC has struggled since being relegated from the top tier last season. Currently featuring in the Big League, they are struggling at the wrong end of the Elgon Group table having won only two games all season. In total, they have accumulated 13 points from 12 games and need to do something about their season as soon as possible if they are to survive relegation to the third tier. In an attempt to redeem themselves, Entebbe appointed James Odoch as their head coach last month following the departure of Allan Kabonge. They also signed several players including Henry Wamala, John Kisakye, Bruhan Matovu and Jimmy Lule, to help blooster their squad. In their last game, they defeated Nebbi Central 3-0 at the Fisheries Institute in Bugonga.